Sometimes a good adventure set piece is missing something, and that something is a giant, fanged pit that dissolves people over a thousand years. To that end, here is the stat block for the all-powerful Sarlacc! 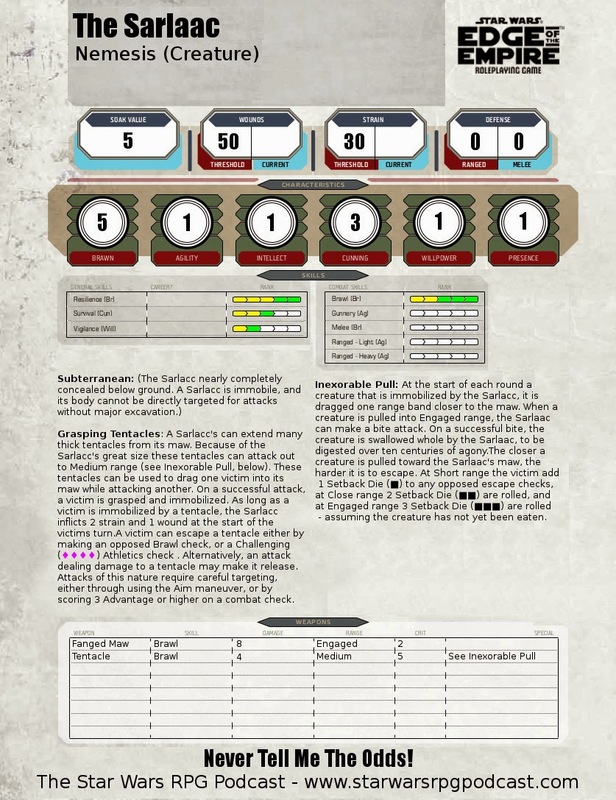 Download the Sarlacc stat block here.